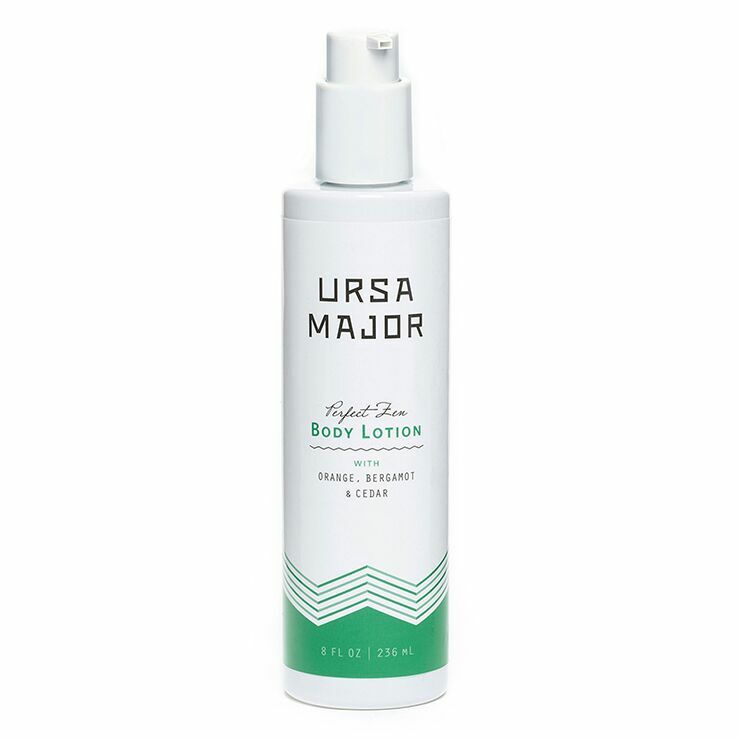 Ursa Major Perfect Zen Body Lotion is the ultimate anytime body moisturizer. Made with aloe vera for lightweight moisturization that lends a soothing feel to skin, sunflower and meadowfoam oils provide a feeling of deep down hydration that leaves behind no greasiness. A mix of bergamot, cedar, lavender, and petitgrain offer a balancing and calming sensation that results in a look of healthy, even skin tone. The lightly citrusy, woody scent is pleasing to both men and women, and bestows a sense of boosted confidence and grounding. Massage onto clean skin, paying special attention to dry or irritated areas, for a feeling of rich, non-greasy moisture. Use as often as desired. Aloe Barbadensis (Aloe Vera) Leaf Juice*, Helianthus Annuus (Sunflower) Seed Oil*, Cetearyl Alcohol, Glycerin, Caprylic/Capric Triglyceride, Cetearyl Glucoside, Cetyl Palmitate, Limnanthes Alba (Meadowfoam) Seed Oil, Citrus Reticulata (Mandarin Red) Peel Oil, Citrus Sinensis (Sweet Orange) Peel Oil, Citrus Bergamia (Bergamot).